Lemon, quince, florals - frangipani perhaps - with a suggestion of autolysis derived character. The Chalmers family have been producing wines from varieties such as Vermentino before they were collectively and conveniently labelled as alternative. Solid wines, often available with some age on them and without charging the earth. Opens with lemon, chalky, touch of sea-spray freshness. Hints of Summer florals backing up. It was the second time of tasting this wine for me. Opens with a natural-ish feel: open, vibrant, with dark brambly fruit betwixt a touch of hedgerow. In fact , it actually smells a little cakey - my term for the skins and such that's left behind after pressing off post-fermentation. 'Cajones Muy Grande' translates as "very big drawers" - unsure if this relates to the colloquial word for knickers, or is a reference to where one may keep one's smalls. Strawberry, raspberry - sweeter accents - boiled lolly, slightly syrupy - like hibiscus flowers in syrup. I saw another review of this wine that had me chuckling along at references to some of the marketing 'spin' that accompanied the press release. That aside, as a wine, it's of interest. I was inclined to remark whilst tasting: "think you know NZ Sauvignon Blanc?". Opens with familiar gooseberry and herbal wafts supported with tropical fruit. Possesses a milkiness, a creamy herbiness - inclined to suggest sage - with suggestions of cornichon. 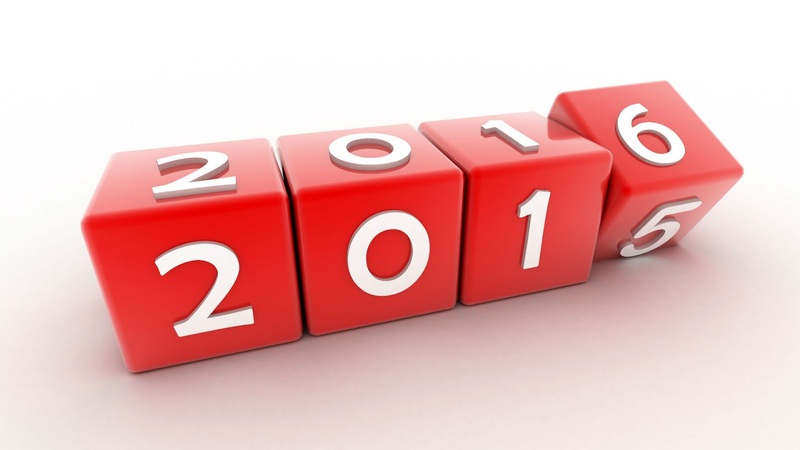 The 2012 is available now of course - such is life. Opens with molasses, coffee essence, old wood - dark and savoury, yet with a ripeness - earthen, spicy and a touch gamey. Opens with the dense, dark cherry familiar to the variety, backed up with a blueberry before a savoury edge of leather and earth forms. Sees 15% whole bunch and is made mostly from Gundagai (great word isn't it?) fruit. Opens with brown spice, hints of charred meat with background florals. There's a little blackcurrant pastille and a smokiness - akin to liquid smoke for the BBQ - and again beyond that there's a little vanilla oak. Multi-faceted and complex is perhaps how one would describe it. Opens with the polish and gloss of oak; plummy with black cherry liquer aromatics. A wine made by distributor Pete Rogers of Naked Bunch Wines. It was described to me by the chap in the retail store as: "Pete's answer to 1000 Candles". It's mix of Shiraz and Mataro with a dash of Sauvignon Blanc. When tasting it, I remarked that it reminded me of one of Tom Shobbrook's wines - and indeed that is where Pete made it. Juicy, touch of pastille and hedgerow - has that natural vibe to it. Obvious refrain from oak, approachable with savoury undertow, and given time greater perfume becomes apparent. Possesses a vibrancy, slightly spritzy and juicy loose-knit feel. Yet again the palate shows a savoury edge, an almost ferrous and earthen feel. Curious mix of pitched acidity with a gentle coat of tannin. Stargazer, from Sam Connew former winemaker at both Wirra Wirra and the Hunter's Tower Estate. Stargazer pays tribute to Dutch explorer Abel Tasman, and as Sam puts it: "is about stopping every now and then to look upwards towards the heavens". Wild fermented with some time on lees, the resultant wine resplendent of apple, lemon and bath salts - delicate and very approachable. Time in glass yields more, a little honeysuckle/ citrus. 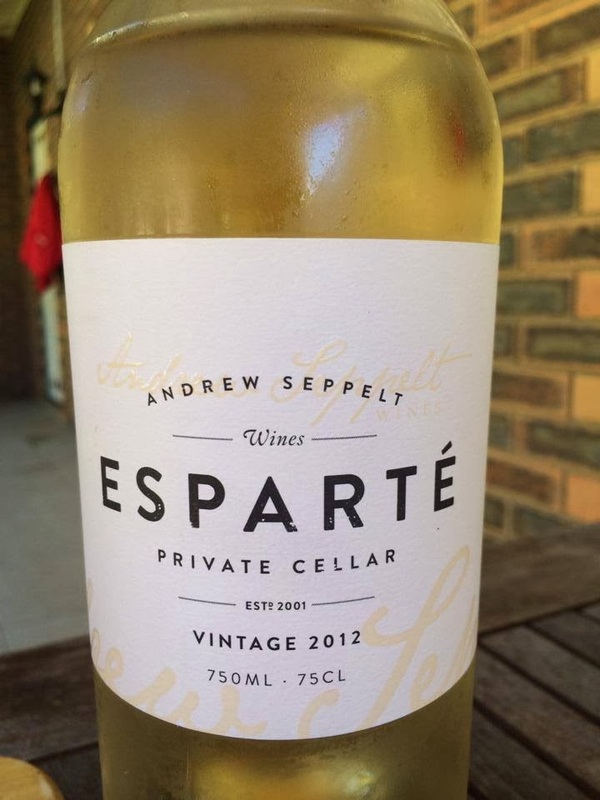 Andrew Seppelt, winemaker at Murray Street Vineyards, also releases wines under his own label. 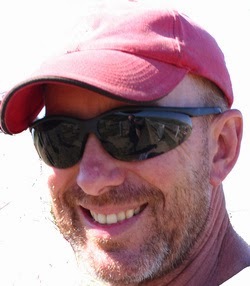 He's a bloke I admire - and yes, a bloke I call a mate - with a fondness for that Barossa stalwart: Mataro. He, in 2000, as the world had its eye on the Olympic gravy train and Sydney, in his own words: "snuck out the back door with Vanessa and worked in Provence for a while. I fell in love with the styles of wine made from Mataro and the way the flavours worked with such an array of different food styles." Here, the Mataro - under one of its many synonyms Esparté - has been guided to produce a white wine, minimal skin contact - enough to leach a little golden colour. Fresh, floral - possesses a sense of honeyed tropics, passing more than a resemblance to its white rhone cousins - with a little lanolin and almond skin. 'Hell Hole', taken from the Hungarian translation for pokol, as in Pokolbin, a reference to the temperatures that seasonally vary from freezing in Winter to nudging high 40s in Summer. 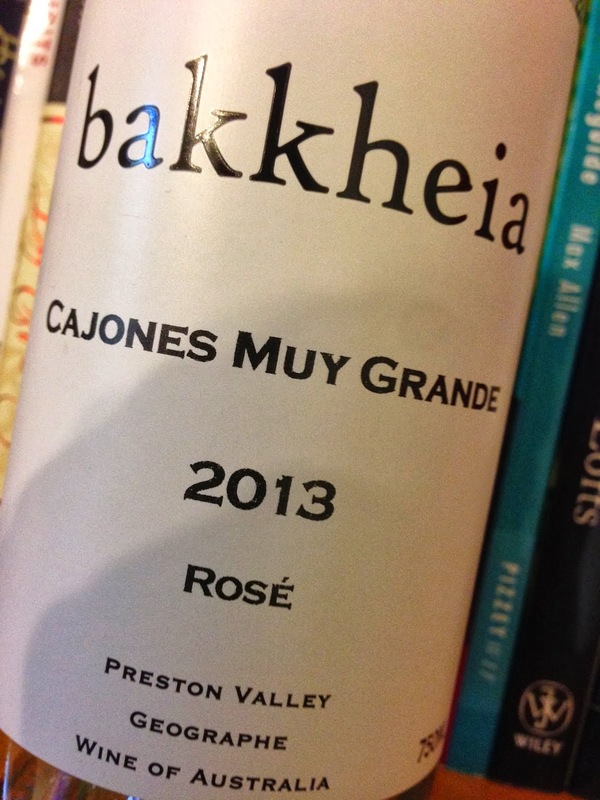 To the wine: powerful, concentrated - depth of fruit rather than hot climate extraction. In possession of a savoury mien: leafy, touches of herb, plum - moving toward the darker fruit spectrum. First tasted the 2010 instance of this wine about, this 2011 incarnation sees a touch more whole bunch - although I am unable to confirm the exact percentage. Full of black/ red brambly fruits against a juxtaposition of sweet earthen notes and a touch of spicy stem and oak. 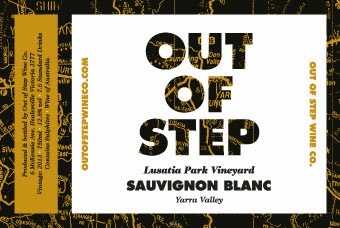 Dave Chatfield and Nathan Reeves, two mates who work their day jobs for some pretty high profile Yarra wineries (Oakridge and Sticks respectively) have a little side project going under the Out of Step Wine Co label. This 2013 SB - their second release I believe - is on the money. Fresh herb, asparagus, the faintest hint of tropical fruit peaking its nose around the corner. It has a subtlety to it - a good thing - and an allure, a prettiness that yields a little more as you go back to it. Tasted in a small bracket of Sauvignon Blanc one Saturday afternoon. Shows hints of tropicals (passionfruit/ guava) on initial introduction - smells fleshy, quite pleasing. Attractively packaged new release from the Hill Smith Family Vineyards. Hints of nettle, herb - touch bitter and astringent. The Montalto Single Vineyard wines are the sort that would apply to Chardonnay lovers, for their quality, along with wine nerds - like myself - for the detail provided on the reverse label. 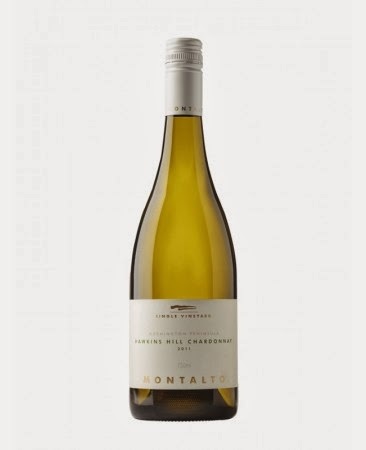 The Montalto 'Hawkins Hill' Chardonnay comes off a vineyard sitting at around 120 metres, a single clone - the regionally prominent P58, one of the earliest clones to be promoted around Australia - sitting on red clay loam; a fertile mix of sand, clay and silt. Compared to 'The Eleven', the vineyard has a marginally different aspect, a little more elevation (only 20 metres, but that can mean a difference by up to a week in picking time). Smells like it comes from a warmer place - alcohol levels are up to match too, with 13.3% stated - stonefruit, a little leesy funkiness and spicy toastiness. The Montalto 'The Eleven' Chardonnay comes off a vineyard sitting at around 100 metres, a single clone - the regionally prominent P58, one of the earliest clones to be promoted around Australia - sitting on red clay loam; a fertile mix of sand, clay and silt. Has a cool-ish feel to the wine, with hints of lime and a creamy honeyed spice to the mix. Clean and fresh with a mealy, creamy core. 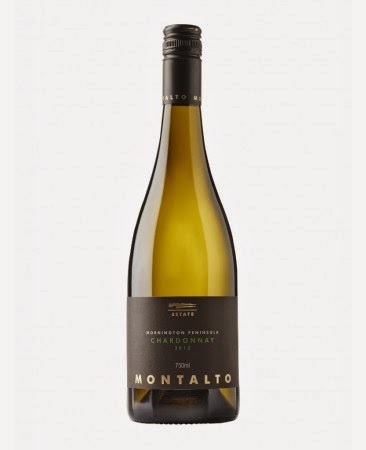 Montalto's Estate Chardonnay (the Estate compromises some 50 Acres of vineyard) possesses a mix of fresh aromas from the go. 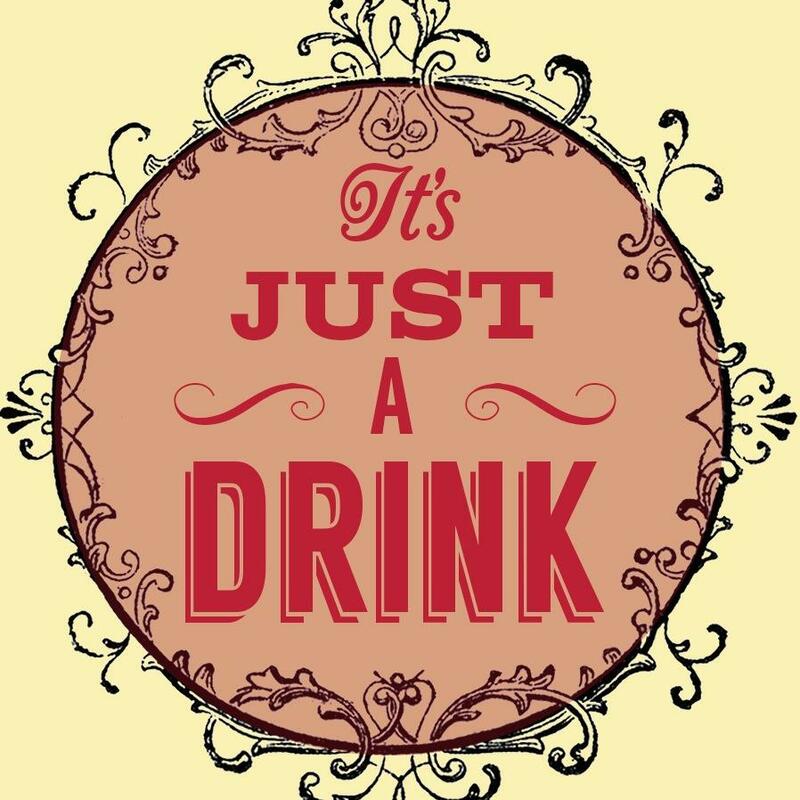 Melon, stonefruit and citrus are all offered up to entice the drinker. 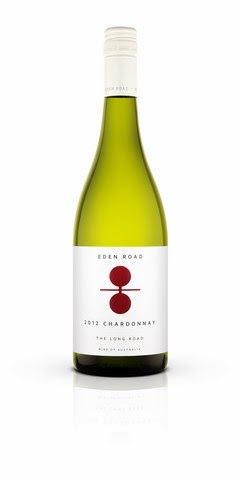 Exquisite Chardonnay here from the Eden Road team of Nick Spencer and Hamish Young. Aromatic complexity on first approach: flinty, grilled stonefruit - all overlaid with with a mix of florals and creamy hints. Entry shows a wine with a stoney, mineral edge; the wine has a focus that builds - racy and lively - it creates interest and length. 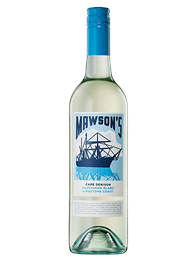 Tasted in a bracket of Australian Grüner Veltliner from the 2013 vintage, with food (schnitzel, creamy potatoes and sauerkraut - in the hope of tasting something appropriate to the origin of the variety). Florals, a creaminess, hints of root veg from the crisper, flecks of white pepper offer themselves up. Clean and crisp, lovely acid and texture. 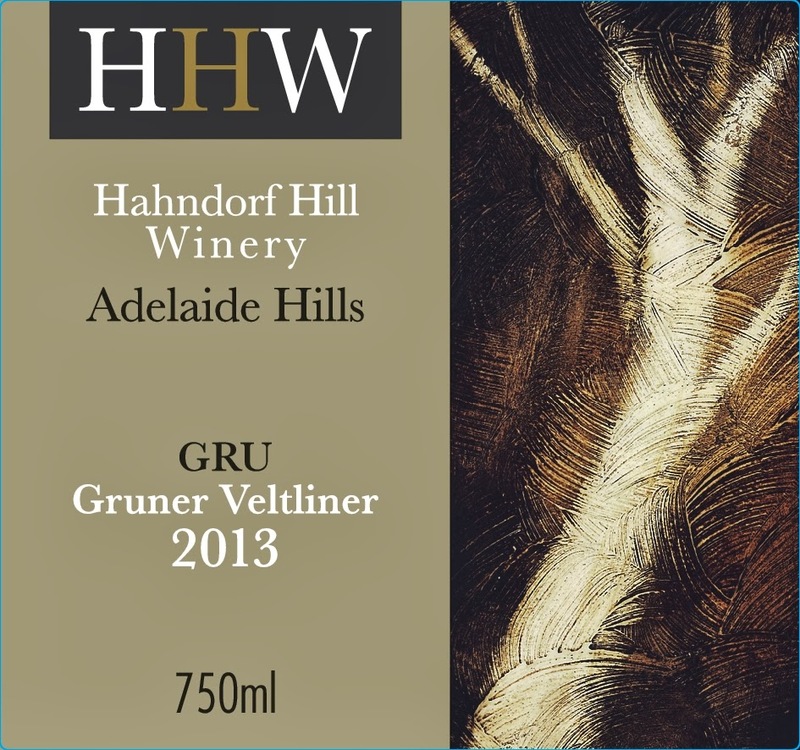 The second of two Grüner from the K1/ Geoff Hardy camp. This, the fuller of the two in style, was picked two weeks later than the K1 example. The resultant wine showing riper fruit and a fuller textural palate. Smells richer than its stable-mate: a honey glaze to a little root veg, some background tropicals with a suggestion of golden toasted breadcrumb. The first of two Grüner from the K1/ Geoff Hardy camp. This, the lighter of the two in style, was picked two weeks earlier than that from the Hand Crafted by Geoff Hardy label. The resultant wine showing a little more fruit and a cleaner, leaner style. Opens with a little root veg - parsnip - in the mix with white florals, hints of pear and under-ripe apple. The palate shows a clean wine, inoffensive and unobtrusive. A nice clip of acid augments some length through to the finish. The Viognier here is pretty evident, with a vibrant purple rim and aromatic 'prettiness' - stonefruit, florals and blossom. Many may find it distracting. Look beyond it to find a cool Syrah, a little meat, smokiness and touch of almond. Entry shows a wine with a graphite quality, with tannin that is ultra-fine. 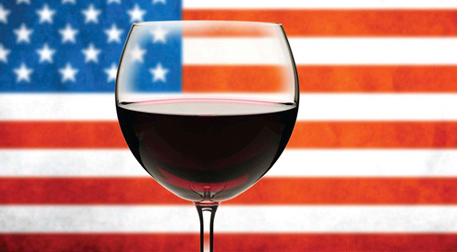 There's a gentle depth to the wine - if that's not an oxymoron. Brisbane wine tasting group Swirl Sniff Spit (disclosure: in case you aren't aware, I am one part of the duo that facilitates the Swirl Sniff Spit tastings) was joined by Queensland Winemaker Andy Williams to taste through some Queensland wines from the recent Australian Small Winemakers Show, where Andy was Chairman of Judges. There was no singular purpose to the tasting, in part we were looking at a mix of wines from emerging grape varieties, in part it was looking at wines from the Granite Belt region; there was some discussion/ raising awareness of the ASWS, along with insight into the wine show system. Attendees were introduced to each wine, the typical characteristics of the variety in question and were then invited to smell and taste the wines before reaching their own conclusion as to the medal-worthiness (or otherwise) of the wine in question. Notes below are my own from the night, with my own 'score' along with the actual score achieved at the show. I wanted to get this up - even though it was some three months ago - as I enjoyed the exercise. Yes, it is about me. I've been re-reading Alice Feiring's 'Naked Wine', in which she mentions that: "Vins de Soifare thirst quenchers, and some of us feel that the leave terroir behind...". There's room for both the thirst quenchers, and those wines of place, a point Ms Feiring does concede. I think we - whoever we are - often get too hung up on certain philosophical points, just see this wine for what it is...bloody smashable. A blend of 65% Grenache, 27% Mataro, 5% Shiraz & 3% Carignan, deepish garnet in hue. Initially meaty on opening, dissipates to reveal a mash of brambly black forest fruits.